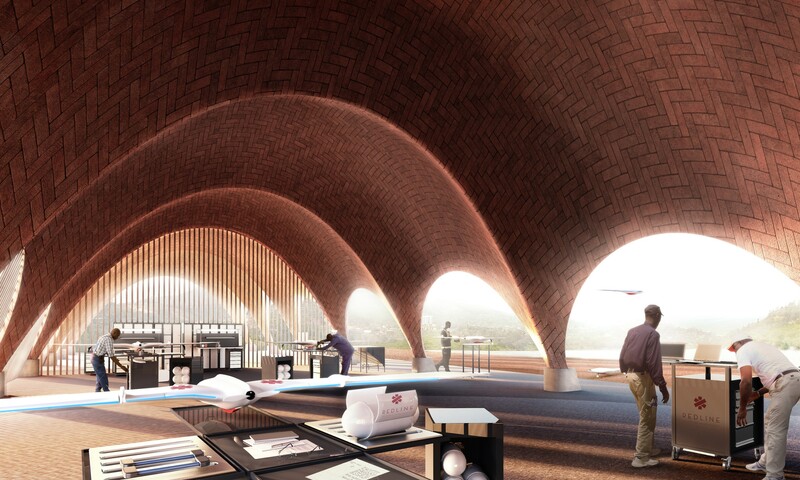 The world’s first droneport. Redline, Foster + Partners, and the Norman Foster Foundation. We think it is possible to build safe cargo drone routes connected by cheap droneports across much of the planet. Quiet, beautiful, goose-like craft will lift off from the droneports carrying precious cargo along fixed routes in the lower sky, saving lives and creating jobs at massive scale. 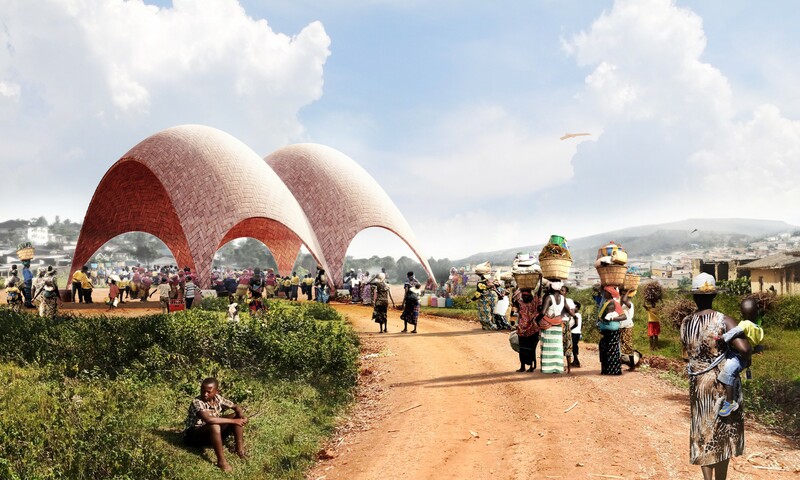 Here is the first concept for a droneport we would like to build in Rwanda. It will cost about the same to build as a petrol station. I am a novelist, but I spent most of my career as a foreign correspondent for The Economist. During the last decade covering Africa, my reporting of the mobile phone revolution led me to understand that advanced technology could make it into the poorest communities. I left The Economist to set up a project at EPFL — Europe’s Caltech — where I could think on this question at a deeper level. I now believe robotics will be the most powerful emergent technology in Africa. That led me to flying robotics and to imagining into existence a cargo drone network, not last mile, not distributed, not using insectlike tiny quadcopter drones, but something much bigger and more simple. I set up a group called Redline which aims to build the world’s first cargo drone route in Africa, carrying emergency supplies and commercial shipments. The purpose is to increase capital through cheaper and faster sharing of precious goods. 1 It is inevitable on a crowded planet, with limited resources, that we will make more intensive use of our sky using flying robots to move goods faster and more accurately than ever before. 2 But it is not inevitable that these craft or their landing sites will be engineered to be tough, cheap, or graceful enough to serve poorer and isolated communities who can make most use of them. 3 Africa has a particular and urgent need. Its population will double to 2.2 billion before 2050. That increase, together with the extermination of other species, volatile rainfall, soil erosion, lack of a manufacturing base and consequent joblessness, and closure of European and other borders to young Africans, will dampen economic growth and increase risk. 4 Therefore in Africa and some other emerging economies a viable solution is a sharing economy, which allows for the fast and cheap exchange of goods and services. That means building in new ways and accepting the paradox of the 21st century: a household may have access to a robot, but not to running water. 5 By building cargo drones for the cost of motorbikes and droneports for the price of petrol stations, it is possible to significantly improve health and economic outcomes. 6 The greatest opportunities will be in areas that lack roads. Not just Africa, but also wild bits of industrial countries, such as the Scottish Highlands, Quebec, or Siberia. 7 Cargo drone routes only make sense where there is a rapid repetition of flights (20+ flights a day into a town of 20’000 people). The routes should function as spectral railways in the sky. 8 The technology is not disruptive, but supplementary. Cargo drone routes will never replace road or railway, but they can add choice for the rapid sharing of precious cargo over mountain ranges, across lakes, and up rivers. 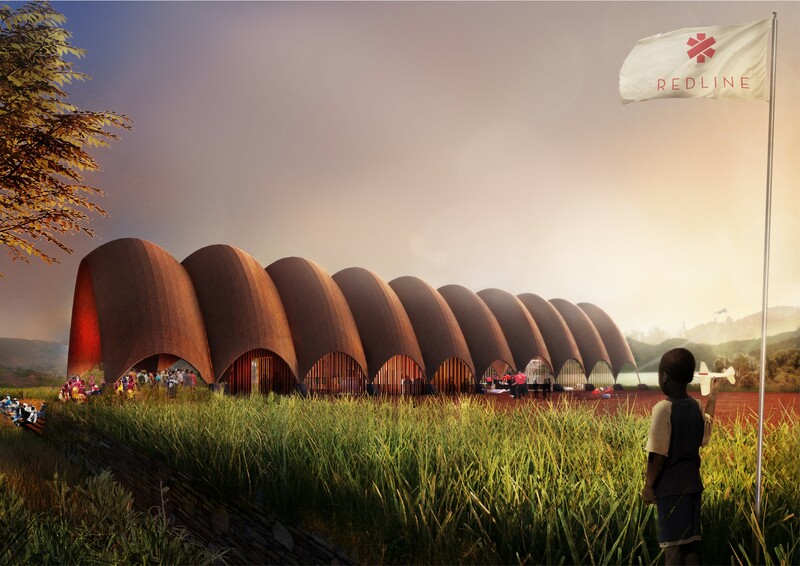 The droneport, where the sky touches the ground, is the critical element for a cargo drone route. No one has created rules for this new type of building. The opportunity to do just that is why I chose to support Redline as the very first project of the Norman Foster Foundation. Jonathan approached me and said, “Look, Norman, you’ve built the biggest airport in the world, now could you build the smallest.” The strange thing is that in ten years time the sum total of all these droneports in Africa will be bigger than the biggest airport in the world. 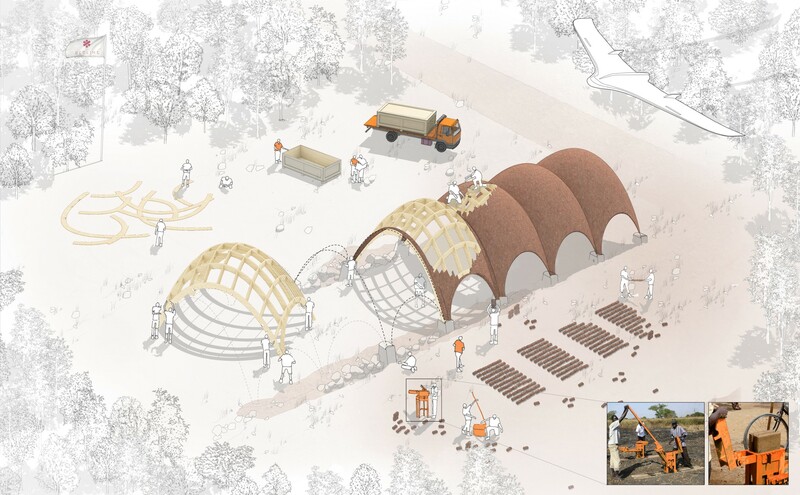 Our droneport holds to Buckminster Fuller’s maxim of doing more with less. 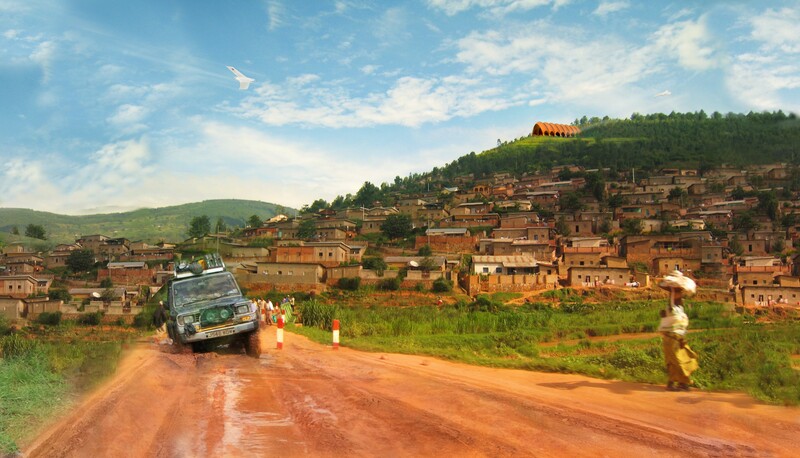 It is grounded in detailed and first-hand study of isolated communities in Africa by Narinder Sagoo, a partner at the firm who has taken the lead on the project. 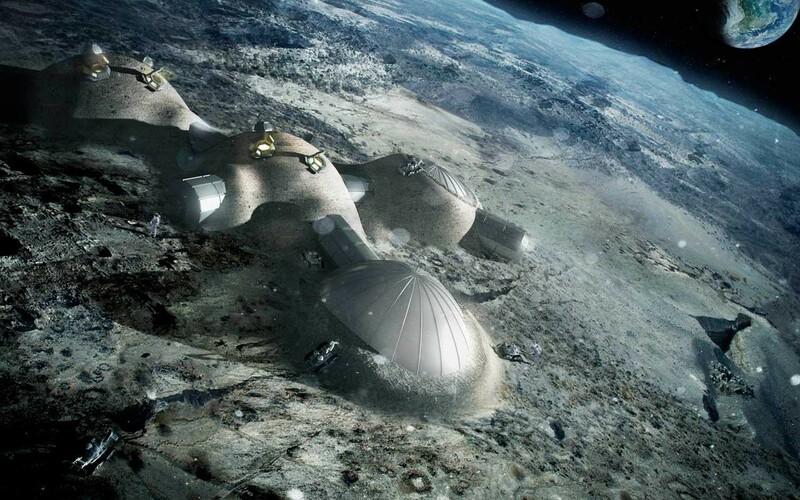 It is very much informed by two previous projects: our 2012 Lunar Habitation for ESA, which binds lunar regolith by use of robots, and Narinder’s Sierra Leone school project, which introduces kit forms in combination with labour and intensive use of locally available materials. Redline droneports should be affordable, clean energy civic buildings, with a strong visual presence. They should have many uses; not only cargo drone operations, but also digital fabrication and repair, clinic and pharmacy, postal and courier services, and e-commerce. The droneport is intended to save lives and build local economies through enabling the rapid repetition of flight of super-fast and super-cheap flying robots carrying precious cargo over mountains, across lakes, and up unnavigable rivers. A droneport will never replace roads, but it will be a valuable supplemental transportation system for the 21st century. The lunar module and the droneport rely upon maximal use of local materials. The difference is that in the African case you want to maximise local labour, while on the Moon there is a high dependence on automation. The philosophy is to do more with less, and turn a killing technology — drones — into a livesaving one. 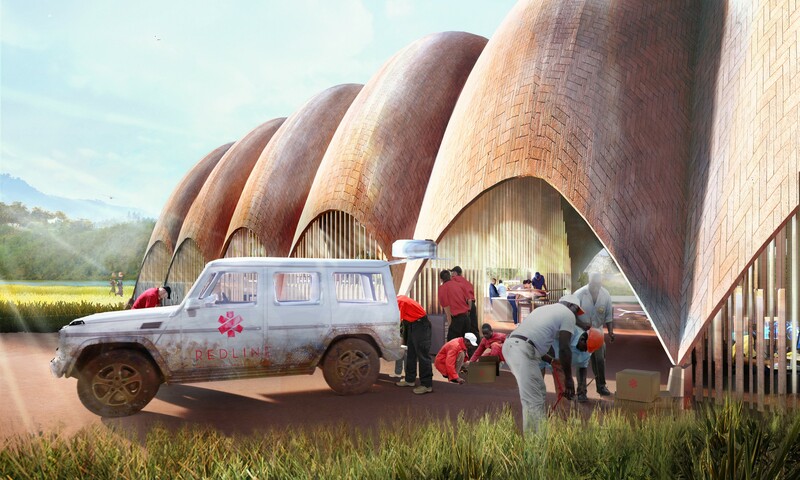 The Redline droneport will have a medical and emergency function, including the transport of lood and medicines to save lives and improve outcomes — a literal red line. The droneport is a civic building, with the audacity of the railway age. It will have postal, e-commerce, digital fabrication, and community gathering functions. In smaller communities, it will be more compact. The droneport depends upon having a hangar full of the latest robots. Redline drones will include precision based navigation and route optimisation, biomimetics, advanced materials, safety systems, landing systems, energy systems, and cyber security. 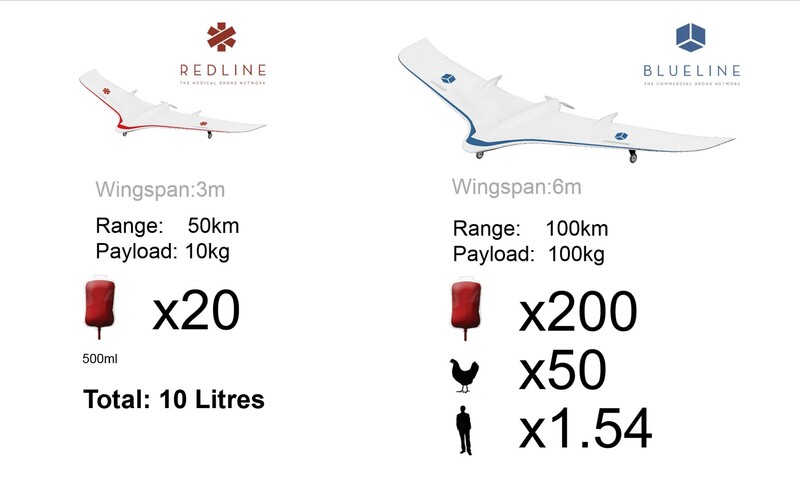 To achieve scale, cargo drones will have to fly 10 kilo loads over 100 kilometers at several times faster than a motorbike and just as cheap. For a larger reflection on connectivity and the rationale behind flying robots, please see this short book of J.M. 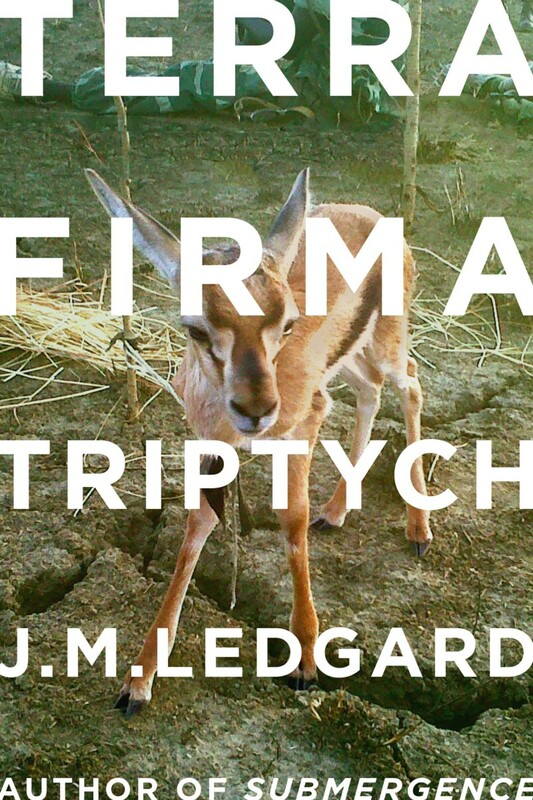 Ledgard’s essays recently published by Farrar Strauss.